If you’re south of the Thames, and inside the M25, there are plenty of places for you to take your CBT test in South East London. Taking your CBT test in South East London makes a lot of sense. Witch such congested roads in London, riding a motorcycle or scooter is one of the fastest, and most cost effective ways of getting around the city, and you don’t need a full motorcycle licence to take advantage of that. A CBT (Compulsory Basic Training) Test in South East London is all you need to make your commute to school, college or work hassle-free. Here at RideTo, we have a number of training schools in South East London and further afield, which provide top quality training on two wheels. In Sidcup, we have Phoenix Motorcycle Training, who boast South East London’s only purpose-built motorcycle training centre. Phoenix are also the UK’s first MCIAC Gold standard training school, so you can be absolutely certain you’ll be getting the highest level of instruction. Phoenix also provide helmet, gloves and jacket during your CBT, and they offer a wide range of scooters and motorcycles for you to use. Further North, there is BLT Motorcycle Training in Thamesmead. The team at BLT will provide you with a helmet during your training, and a pool of talented and extremely passionate instructors. 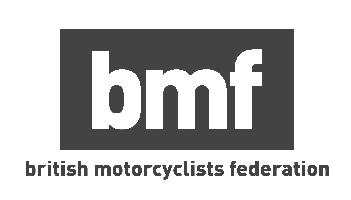 If you’re in a rush, BLT also offer instant booking, which means when you book your CBT test in South East London through RideTo, your CBT will be booked as soon as you pay - you won’t have to wait for an instructor to confirm the date and time. RideTo has CBT training centres throughout South East London, located in Orpington, Lewisham, Crystal Palace and Croydon. What do I need for my CBT Test in South East London? It’s incredibly simple to prepare for your CBT Test in South East London. Firstly, you need to hold a valid British Passport, or have been a UK resident for more than 185 days. You also need to ensure you have a valid provisional licence. You don’t need to worry about buying expensive motorcycle equipment before you take your CBT test in South London, the training school will provide you with most items, including a bike to complete your training. It’s best to wear sturdy trouser, boots and a jacket and don’t forget to check the weather. If it’s going to be cold you’ll definitely want to take some extra layers to fight of that wind chill when you’re out on the road. For more information on what you need before you take your CBT test in South East London, see our in-depth guide on whether you can take a CBT Test. Once you’ve completed your CBT, it will remain valid for two years. If you want to continue riding on your provisional licence past that point, you’ll have to renew your CBT.